Main roads throughout South Africa are expected to become busier in the next few weeks as travellers embark on their annual vacations. But, says the Automobile Association (AA), while this is a time for relaxation, road users cannot afford to take it easy, especially if they are driving. School holidays across the country begin on 12 December 2018 and end when schools reopen on 9 January 2019. Major routes to Polokwane, KwaZulu-Natal, and the Eastern and Western Cape are expected to be particularly busier over this period. "Road users must understand that major routes in the country will be busier, and they need to adjust their attitudes and driving styles to accommodate for the increased volumes. "Trying to get to a destination in record times is irresponsible and dangerous, and unnecessary. 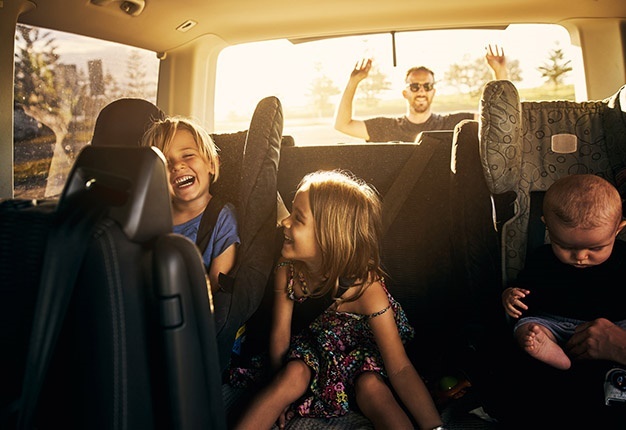 If you are going on holiday, make the journey part of the holiday," urges the AA. From 1 December 2017 to 15 January 2018, 1676 people died on South Africa’s roads. Although lower than the previous year, the AA says this is still too high, and that all road users, motorists, pedestrians, cyclists and motorcyclists, need to ensure they are safe on the road. "Pedestrians continue to make up almost 40% of the more than 14 000 annual road deaths in South Africa. This is an unacceptably high number. Motorists must always be alert on the road and obey the rules. "Similarly, pedestrians must make themselves visible, obey the rules of the road, and must not drink or take drugs and walk," says the Association. • Always wear a seatbelt, and ensure all passengers are also buckled up. The law requires all children under three to be secured in proper child restraint seats. • Don’t drink and drive and don’t drink and walk. • Have your tyres checked (including the spare) and ensure they are suitable for a long journey (and safe enough to bring you back again). Check your wheel alignment. • Drive to the conditions of the road. Don’t speed. • If you are a pedestrian, be visible to other road users, and walk where there is light. As a motorist, always focus on the road and check for pedestrians. • Don’t take chances by running or walking over busy roads of highways. • Always wear your helmet, and dress appropriately for motorbike and bicycle usage. • Don’t be distracted while driving. Eating, drinking, talking to back seat passengers is extremely dangerous. Stay focused whether you are in a car, on a motor cycle, cycle or walking. • Do not text or talk on mobile devices. • If you are going on a long trip, stop every two hours or every 200km for a rest, to stretch your legs, and regain your focus. • Keep your AA membership handy in case of emergencies. "This time of the year is for family and friends to reconnect, spend time with each other, and to enjoy a break. Arrive safely at your destination, and return safely back home," concludes the AA.